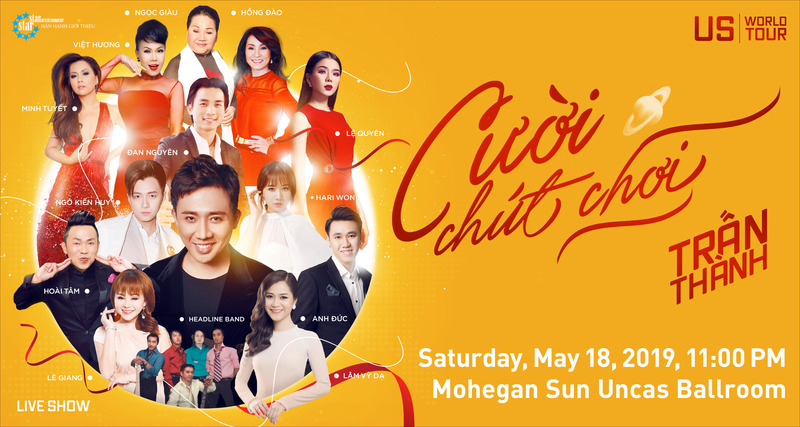 The Vietnamese show “Cuoi Chut Choi” presented by Star-Star Entertainment will be held in the Uncas Ballroom on Saturday, May 18th, 2019 at 11:00pm. Tickets: VVIP$148, VIP$128, $98, $68 & $48. Tickets can be purchased online at https://TranThanh2019.eventbrite.com. 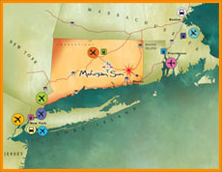 For more information, please contact Star-Star Entertainment at (860)785-4328. Momentum members may call the Asian Marketing Hotline at (877)999-9977 for reservation inquires. “Cuoi Chut Choi” translated as “Laugh Out Loud” - a comedy and musical event featuring the king of comedy Tran Thanh to perform for the second time in Mohegan Sun and with all his sidekicks listed below. Second to none, the most favorite female singer Le Quyen to be performing for the first time in Mohegan Sun along with other popular and famous artists including Dan Nguyen, Minh Tuyet, Hari Won, Ngo Kien Huy, Viet Huong, Hoai Tam, Ngoc Giau, Hong Dao, Anh Duc, Le Giang, Lam Vy Da, and hosted by MC Thanh Tung, music arrangement accompanied by The Headline Band along with dynamically synchronized choreography and lighting. Please join us in an evening full of excitement, laughter and enjoyment.